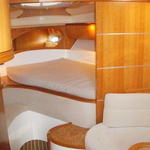 Sailboat Salpa 39.5 called Ika has been built in 2011. 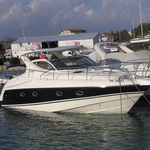 We offer this vessel from port Sukosan in the region close to Zadar. Ika is registered for 9 pax. Layout of the sailboat is 9 (6+2+1). Salpa 39.5 Ika has 3 cabins. For comfort of passengers there are 1 heads. You can fill the diesel tank with 700.00 l l. and in water tank it goes even 220.00 l liters. With motor 2x300 hp Volvo D4 Ika can navigate really fast. Ika is 12.32 meters long and 3.86 meters wide. 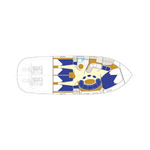 Depth is 0.90 m. You can see other boats by clicking on this link: Motorboats Sukosan. Boat's equipment includes : Microwave, Radar, Gps, Air conditioning, Radio / cd player, Bed linen, Bow thruster, Outboard engine, Bimini top, Dinghy, Anchor electric windlass, generator. . Deposit is at the level of 3000.00 EUR. Choose our offer and enjoy your vacation on the deck of Ika. 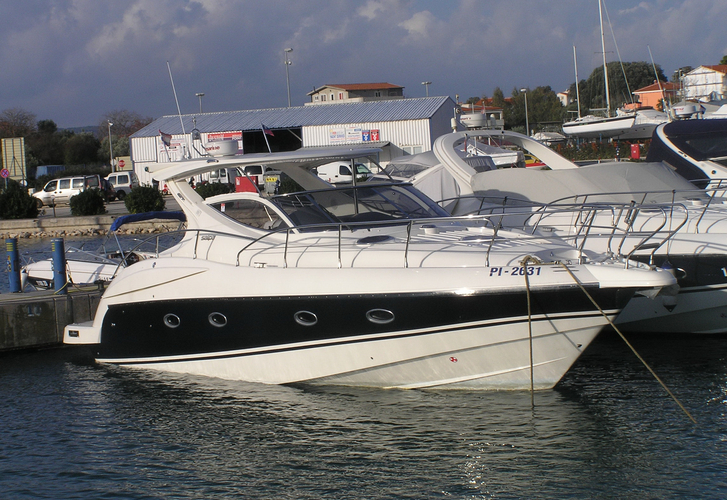 This Salpa 39.5 from Sukosan from Croatia Find by going to the section Motorboats Croatia.